Overexposure to ultraviolet light has been associated with a number of serious health conditions, some more serious than others. While sunseekers do endure the risk of sunburn if they are not adequately protected or stay out too long, as well as the potential for skin cancer, the effects of UV light can cause other types of damage to the skin, including the destruction of elastic and collagen tissue, and discoloration. Given the inherent risks, Apple believes it is advantageous to detect if the user is outdoors, and how much they have been exposed to UV light. Granted on Tuesday by the U.S. Patent and Trademark Office, the patent for "UV dosimetry and exposure alert" effectively describes a system where UV light sensors detect sunlight and tracks exposure over time. The system can then provide the user with alerts about their exposure, including guidance on preventative measures if the levels are excessive. 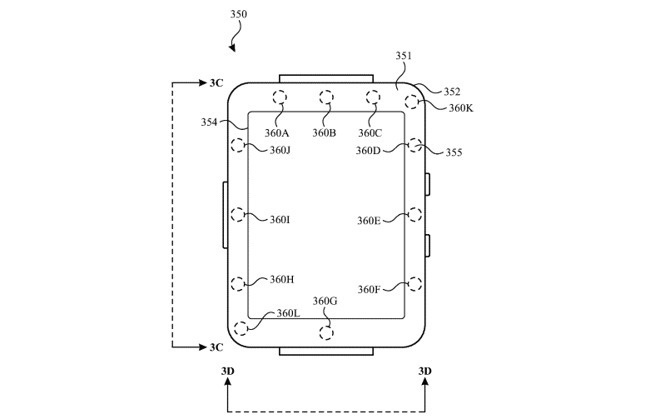 While Apple mentions the use of a device, images supplied for the patent suggest it would be part of an Apple Watch. This would be logical, as the Apple Watch follows the user around and is usually open to the elements, making it the perfect device to perform the task. The device in question includes a number of UV light sensors, which are used to detect if the user is outdoors, and if so, to determine periods of time they were potentially exposed to the Sun. The data from the sensors is fed into an analyzer that compiles the total exposure time and how much UV light the user will have been exposed to, with the result used to advise the user. The system can also be augmented by other sensors, including an ambient light sensor and infrared light sensor. These could be used to provide more accurate data about the amount of light hitting the user, but also to help determine if the user is outdoors or indoors, as the light sources are different and one may influence reports about the other. To improve the quality of results further, the Apple Watch could be fed "location-dependent UV index information" from weather reports, in the form of UV Index levels for different times of day. As levels can be forecast to change over time, users could be warned in advance of particularly high-risk periods of the day, especially if they have already been exposed to the Sun for a considerable period beforehand. While Apple does receive patent grants and applies for others on a regular basis, the existence of a patent is no guarantee that the concepts described will appear in a future Apple product. 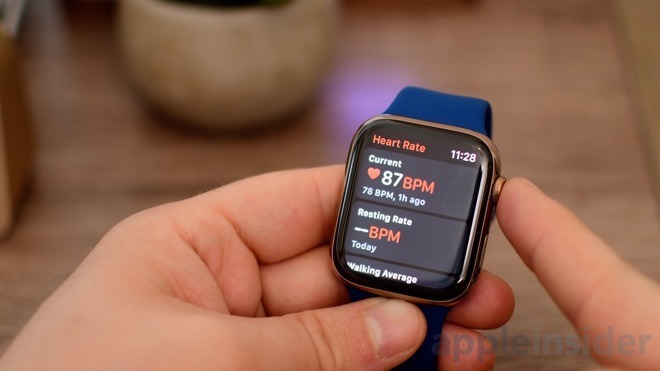 The ability to monitor a user's UV intake would be a considerable extension to the Apple Watch's existing health and wellbeing capabilities, such as its heartrate and fitness tracking options and, in the Apple Watch Series 4, ECG monitoring. This is also not the first time Apple has considered ways to protect users from the sun's harmful rays. In July, a patent application for "Light-based Shielding Detection" advised of how an Apple device could detect how protected the user is by sunscreen, advising of where unprotected areas of the body are, and when to apply more.